Trias Construction is passionate about the work it does, so we make sure we have a good time doing it. Collaboration between Architect Larry LaDelfa, City of St. Petersburg, CASA and Trias Construction is celebrated at Grand Openning. 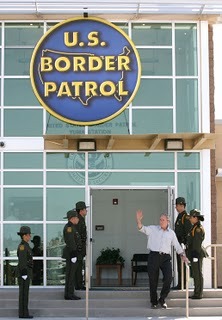 George W. Bush at New Border Patrol Facility grand Openning.